helmet and cover Fibre helmet of 'Nutria' brown shade, of similar appearance to the US PASGT style, complete with removable cover (of nutria shade), fitted with and adjustable peak. 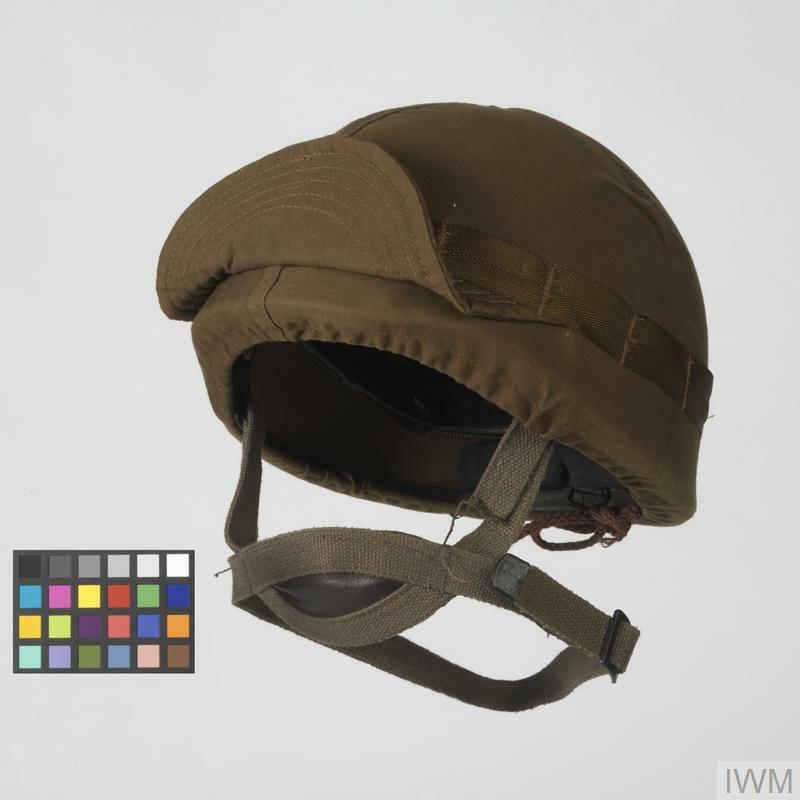 Inside, the helmet features a canvas cradle liner system oand has a rubber bumper fitted to the rear with a circular pad fitted to the inside crown. 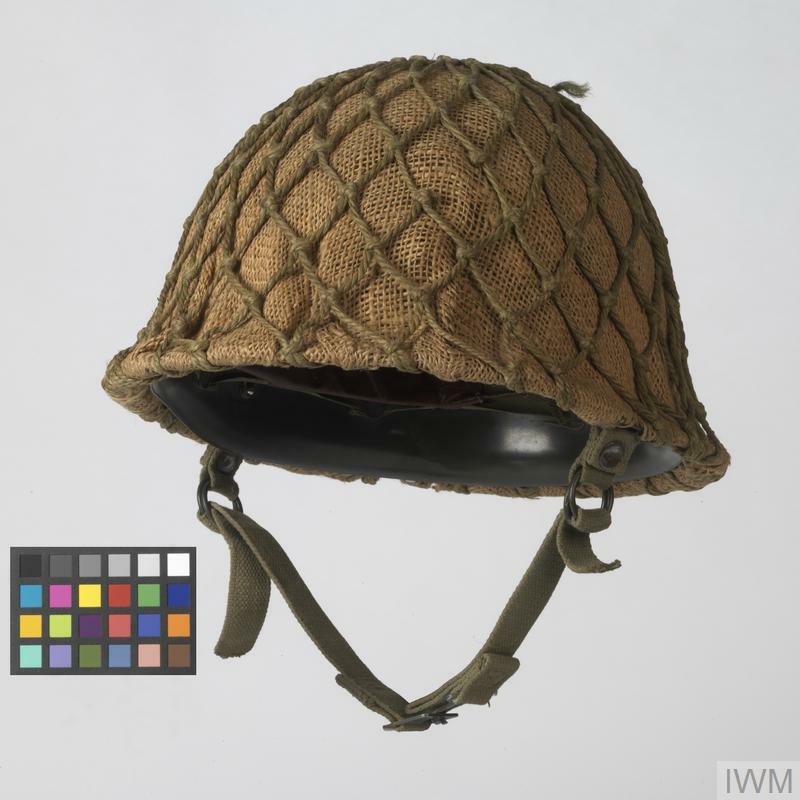 The canvas chinstrap is secured to the helmet at three points. The South African Defence Forces (SADF) had earlier used traditional steel helmet for personal protection but began to use the more modern type of composition fibre helmets when they adopted the Israeli 'export' helmet in the early 1980s. 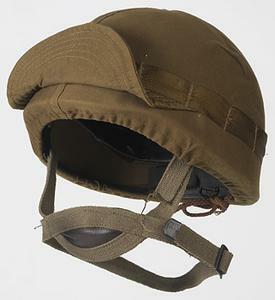 Developing their own composition helmet, the SADF were equipped with the M87, a form of protective headwear which closely resembles the US pattern of Kevlar helmet. The cover is unique to South Africa, having an unusual drop-down peak for use as an eye shade.